KILIS, TURKEY. 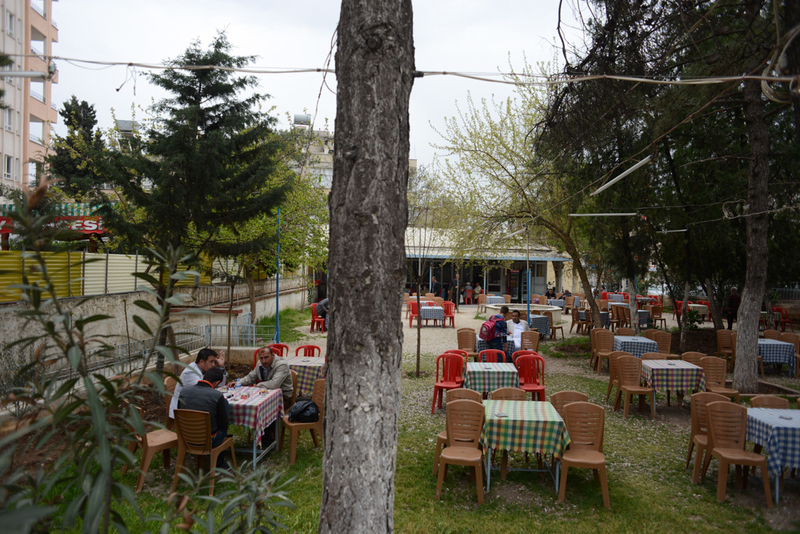 An outdoor cafe frequented by Syrians and others around the corner and down the street from the Otel Istanbul on April 4, 2013. At this moment, Kilis is crowded with Syrian refugees who have made temporary homes in available apartments, motel rooms, and wherever they can really.